I don’t get scared easily, but this series had me jumping every ten minutes and turning all of the lights in my house on. It was filled with classic jump scares, but executed them perfectly. The concept was unsettling but kept me at the edge of my seat. The ten-episode series follows five siblings that grew up in a haunted house, who continue to suffer the adverse effects of the events that took place there into adulthood. The frequent mysterious scenes had my heart racing. One scene, in particular, was the scene where the father, Hugh is trying to get his son Steve out of the house. He tells Steve to close his eyes and when they get to the car says to the children, “That’s not mommy”. The series seemed to play on all of our childhood fears including ghosts, death, nightmares, the dark and the unknown. 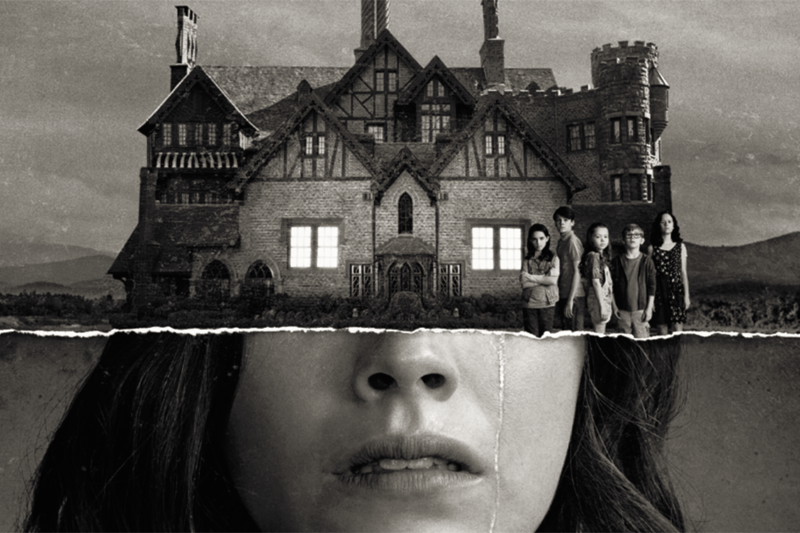 The Haunting of Hill House also had exceptional character development, which can be hard to do with seven main characters and only ten episodes. By the end of the show, I felt attached to each character and wanted more of them and their stories. The acting was also fantastic and the actors made their characters likable and easy to empathize with. However, this all held true until the last episode. The Haunting of Hill House would have received a 10/10 from me, if it had not been for the finale. I was expecting an intense and powerful ending and instead got an unexpected, confusing, anti-climactic ending. There was not one point, in the finale, where I jumped or felt even a little scared. It was also all over the place. Steve narrating most of the episode was one aspect that especially turned me off. The writing was horrible and the episode was filled with long monologues filled with confusing metaphors and poetic language. One example of this was when Nell was talking to her siblings about confetti in the red room. It almost felt as if the writers were trying to fill time. I sensed that the series tried to send a bigger message with the ending, that they failed to reach. Call me crazy but I wanted the disturbing nature of the show to continue into the finale, with a not so happy, hopeful ending. Regardless, I would definitely still recommend this show if you’re looking for a good scare… maybe just skip the last episode.